***Update*** Unfortunately, 50's claims about making a fortune off Bitcoin were false. About a month after making these claims, the judge who is presiding over 50's ongoing bankruptcy case demanded 50 show evidence supporting that he made this money, as it might have an impact on the settlement he agreed to make with two creditors. As a result, 50 admitted this was all a publicity hoax and he did not actually make any money off Bitcoin and has never owned Bitcoin. 50 Cent is one of the most astute business minds in hip-hop. Whether it was marketing and selling his stake in Vitamin Water for millions of dollars, selling books, video games, and movies starring himself, or any other variety of business ventures, the Queens native knows how to make money. So it shouldn't come as much of a surprise that 50 was a pioneer in accepting Bitcoin as a form of payment for his music; making him a lot of money in process. Back in 2014, 50 released his 5th studio album, 'Animal Ambition.' The 11-track album, which featured the likes of Prodigy, Styles P, Jadakiss, and Trey Songz among others, was released to average reviews from music critics, and sold a grand total of 124,000 copies in the U.S. that year. The album in itself isn't particularly notable, but it is notable for one reason; when he released the album, 50 Cent accepted Bitcoin as a form of payment. According to TMZ, 50 was the first artist to accept Bitcoin as a form of payment for his projects. In 2014, Bitcoin was valued at roughly $662 per Bitcoin. People were able to pay for the project in fractions of Bitcoin, which eventually amounted to a considerable amount after all was said and done. The Queens native reportedly received over 700 Bitcoins in sales for the album, which amounted to about $400,000. 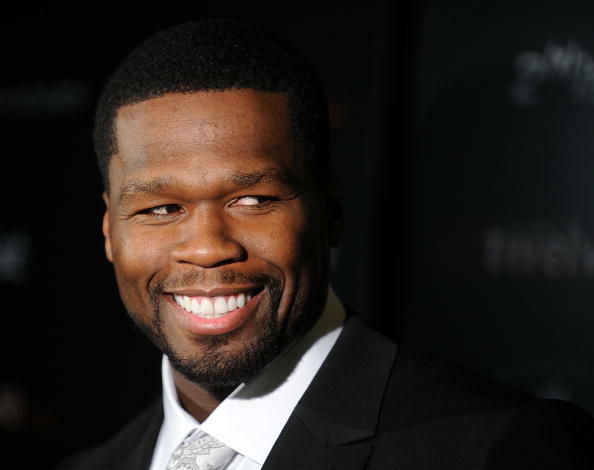 Fif never touched the Bitcoins, and left them sitting in his account for years. Fast forward to today, and Bitcoins are worth anywhere from $10,000 to $12,000 apiece. This means that by simply accepting payments for his album in the form of Bitcoins, 50 turned what was $400,000 in 2014 into anywhere between $7 million and $8.5 million today. To say that he made a smart move might be an understatement. It makes sense that Starz would be eager to get more 50 Cent projects on their network, given the success its had with Power, produced by 50 and the most watched show on the network.